Mur-lok RO fittings are the only RO fittings that feature dual EPDM O-rings to ensure a straight leak free fit. These high quality American made fittings are constructed with FDA approved materials. 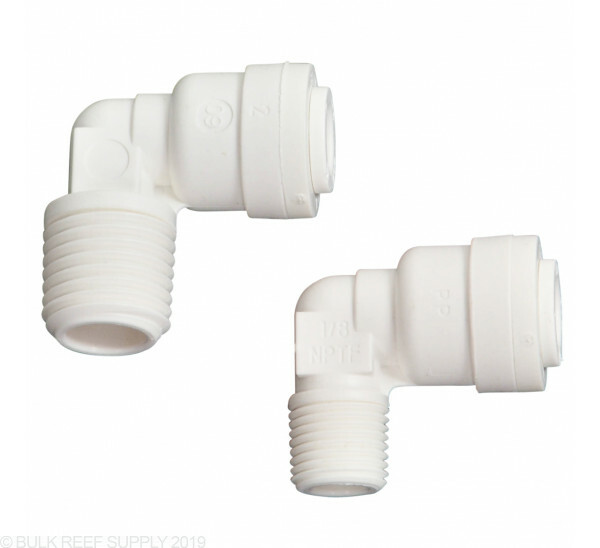 We believe GA Murdock Mur-lok fittings to be the best so strongly that we use them virtually exclusively on each of our BRS reverse osmosis systems and BRS media reactors. Just like what come with my RO/DI system. I purchased this elbow connect because one of the connections was leaking on my RO/DI unit. To make sure that I purchased the correct replacement, I took a picture of the leaking connection to compare it with the parts on BRS. Works great! Ease of use and the security and positiveness of the press-to-fit junction make these a top quality procurement. The connector is well built! I have purchased multiple units and each one has been high quality. I have not had one leak yet. Easy to disconnect if you need to make changes. I have been using the connector for over 3 years and still holding up. This quick-connect fitting provides a leak-proof update to my R/O system. I love these push connect elbows, they are easy to intall and do not click. They are extremely easy to connect and disconnect. In redoing my RO/DI unit i have bought a number of these and trust me it was money well spent. Does not leak even under 85 psi. I would highly recommend this product. I bought the 4 stage ro value and broke a elbow and was wondering which one i need to replace it. I broke the elbow that the blue clean water drain line connects to the filter.Its the last elbow water goes through. 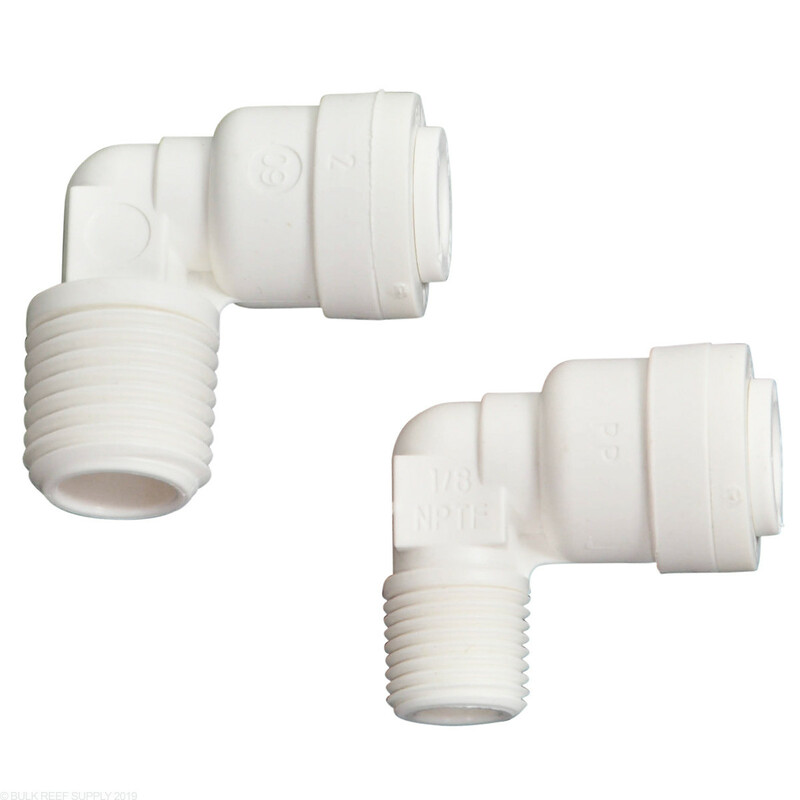 If its the elbow that comes out of the membrane housing as on the 4 stage RO (NOT the 4 stage RO/DI) then it would be a 1/8" NPT x 1/4" Push connect check elbow. If its a 4 stage value RO/DI system (not RO only) then it would be the elbow coming out of the DI and it would be a 1/4" NPT x 1/4" push connect elbow.